In physics: the ability of a substance or object to spring back into shape; elasticity. Figuratively: the capacity to recover quickly from difficulties; toughness. the ability of the application to recover from failures and keep running. It is increasingly common to build applications based on microservices architecture or the migration of monolithic to this architecture. Microservices architecture has interesting promises and among them it is to favor high availability. However, a microservices architecture with modeling mistake in which there are many synchronously chained HTTP calls, can lead to an opposite scenario. Look at the following picture and scenarios, being simplistic but for the purpose of demonstrating this question. 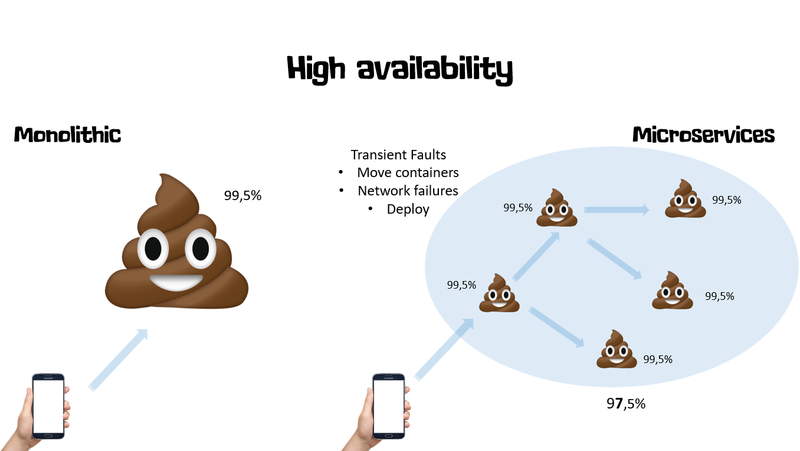 Microservices: 5 servers, also with 99.5% availability each. However, in this architecture a service makes chained and synchronous calls to other services, thus adding other points of failure and the availability of the system is given by the availability factor of all the services involved. In this scenario it will be 97.5%, being smaller than the availability of the Monolithic scenario. In microservices, the failures can be a lot of types, from hardware failures to container movements between nodes. The question that some can ask is: even with high availability like those of our scenarios, can failures really happen? Should I worry about that? 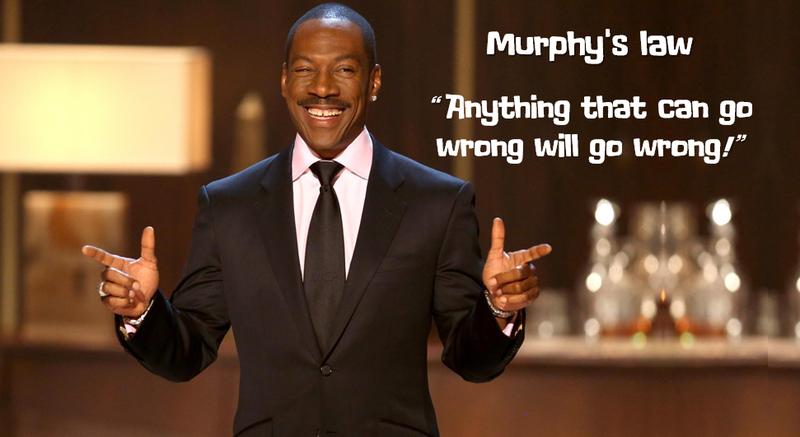 Murphy’s Law: Anything that can go wrong will go wrong! Intermittent failure is guaranteed in a distributed and cloud-based system, even if every dependency itself has excellent availability. It’s a fact you need to consider. In conclusion, being Resilient is accepting what failures will happen and treating them the best way. In the following articles we’ll look at software patterns to build resilient applications. Leave your feedback and follow the series.